Consumed by the vicious, near-constant messages being sent to her by her ex-boyfriend’s fans, the last thing Jen needs is a visit from his co-star, Eli. But with Eli insistent that she should give Will another chance, and Will and Eli’s fans convinced that she’s getting in the way of true love, Jen decides that she needs to know the reality of the two men’s feelings for each other, regardless of the consequences. 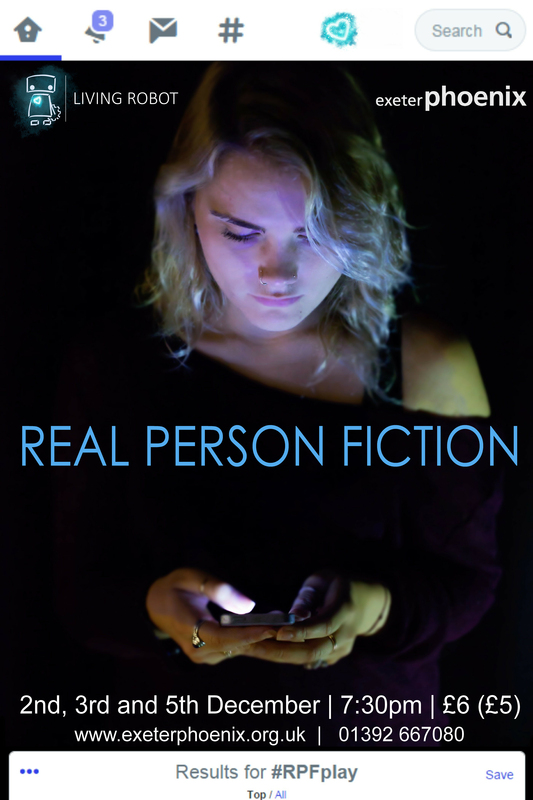 Real Person Fiction is an intense new play which uncovers the hidden world of fandom, exploring online abuse, public personae and real lives. Produced by Living Robot Theatre Company.